The month of love is around the corner and it’s time to start planning your romantic Valentine’s weekend with that special someone. Whether it’s an indulgent dinner at a bistro, a lavish six-course feast at a hotel and spa, or a movie and picnic under the stars, when it comes to romance, us foodies firmly believe that the quickest way to a person’s heart is through their stomach. Here’s our list of restaurants around the country that are offering tempting love-themed menus and specials this Valentine’s Day. This Valentine’s Day celebrate in glamorous style with romantic dining experiences at Banyan Tree Kuala Lumpur, where mouth-watering set menus, divine desserts, champagne toasts and jaw-dropping views are just waiting to take your breath away! 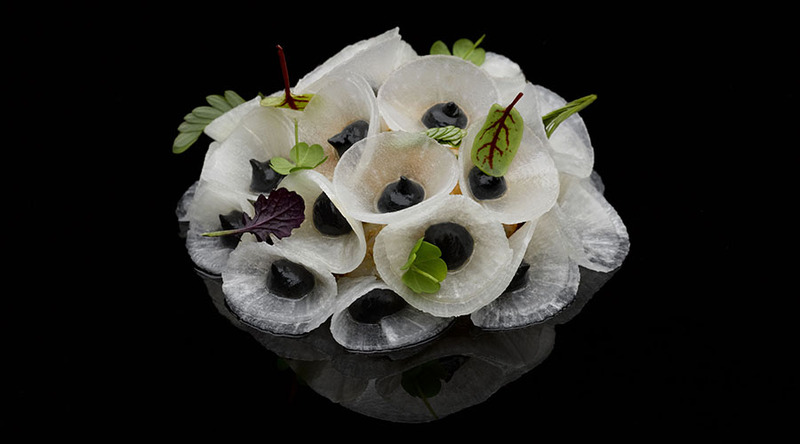 Saint Pierre Kuala Lumpur is the first international outpost of contemporary French fine dining restaurant Saint Pierre in Singapore, headed by Chef-Owner Emmanuel Stroobant. Located on L8 of the swanky W Kuala Lumpur, a stone’s throw from Petronas Twin Towers, Saint Pierre Kuala Lumpur is helmed by Head Chef KimKevin de Dood. The food philosophy at Saint Pierre Kuala Lumpur mirrors that of its Singapore parent, thereby ensuring our Malaysian patrons and guests have a similar superlative fine dining experience befitting MICHELIN-star standard. Enjoy an 8-Course Meal with your loved-one this Valentine’s Day specially created by Grand Chef Relais & Chateaux Emmanuel Stroobant and Chef de Cuisine KimKevin De Dood starting at RM778.00 per Person with wine accompaniment at Additional of RM348.00. Set on The Troika’s 23rd floor, Cantaloupe is not really a rooftop establishment, but its floor-to-ceiling angled glass windows overlook the city and offer a weatherproof dining experience at an altitude. The kitchen is helmed by Chef Christian Bauer (formerly of Frangipani restaurant fame along Changkat Bukit Bintang), offering a concise, haute menu with French, Italian, Greek and Spanish flavours evident in its dishes. For this Valentine’s Day, impress your companion with an 8-course Dinner consisting of Amuse Bouche, Scallop, Lobster, Foie Gras, Sorbet, Black Cod, Beef Wellington and Pistachio & Blackberry at RM400.00++ per person.